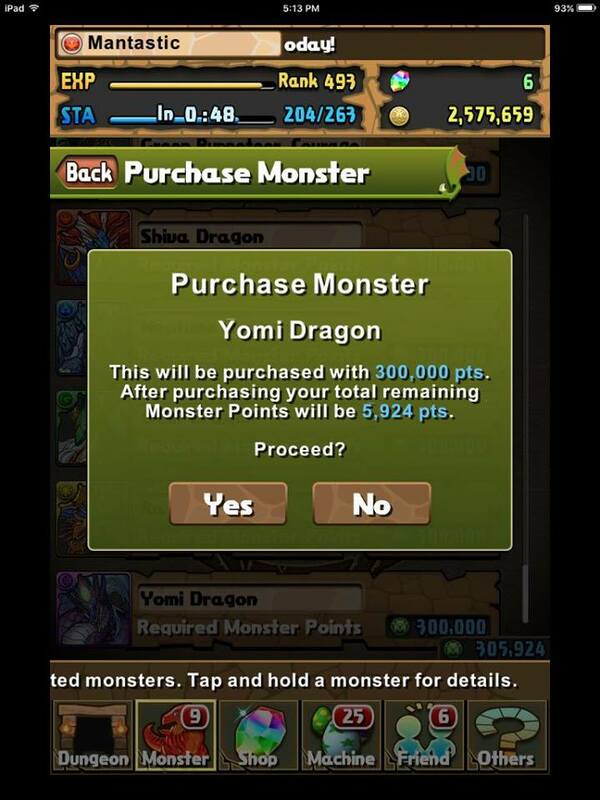 Yomi or Ra Dragon with my first 300k Monster Points? I have almost completely made my mind up what I should do with my first 300k Monster Points as I was lucky with the 4x GFE rates this past godfest. 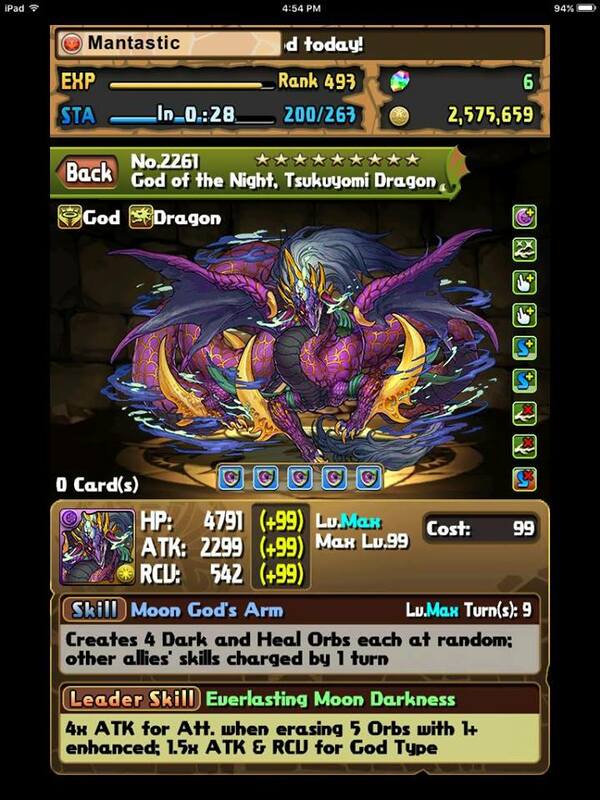 I am actually very excited and have been researching both Yomi Dragon and Ra Dragon to try and determine who would be the best fit for my box and playstyle. I am only 1 skill up away from hypermaxing Elia and completing my Awoken Sakuya team pictured below. It is rare to be able to complete a team in PAD and the satisfaction I will have with the final skill up will be a glorious thing. As such, I wish to expand and branch out to a different team as will most likely not have any roster changes any time soon. 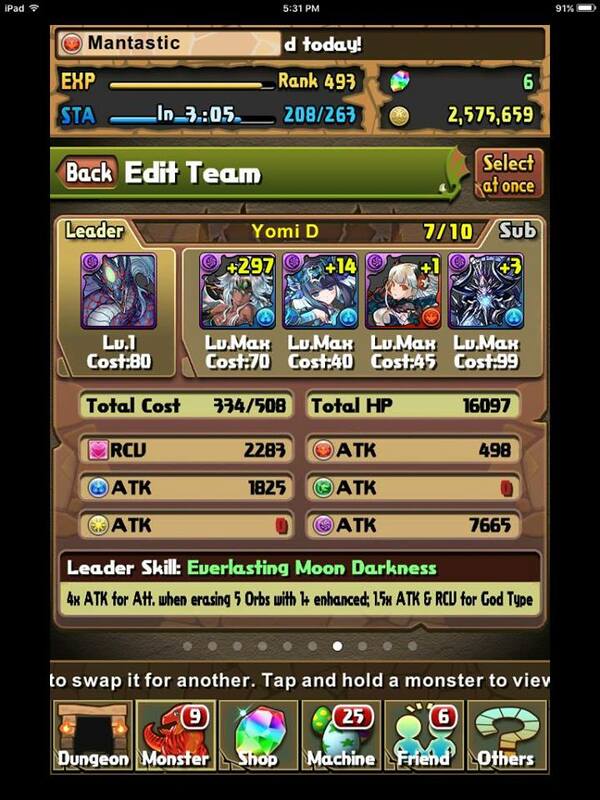 My goal is to develop another end game team who is capable to clearing current content should my encounter issues. Both and are rated as top tier leads who both have the capacity to clear all the content PAD has to offer and I wish to weigh the pros and cons of using either along with my suitability based on my monster box. 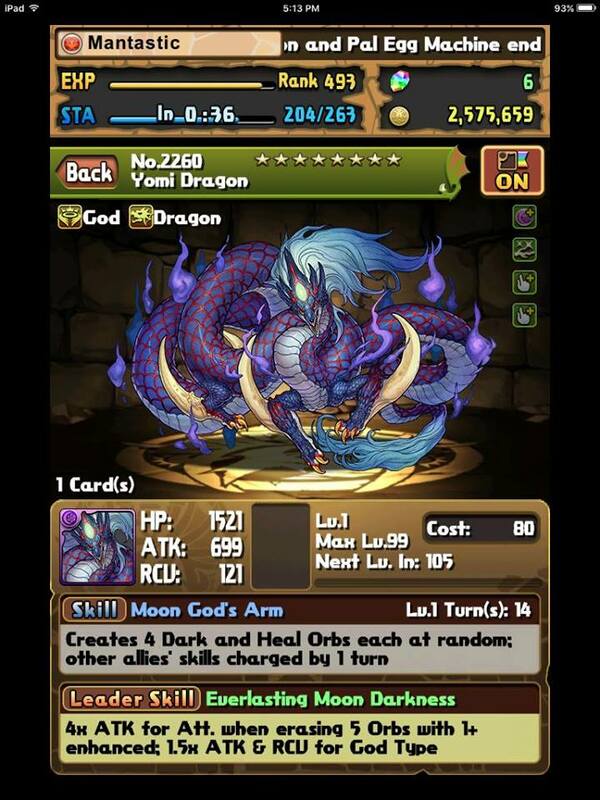 Yomi Dragon has a playstyle similiar to Awoken Yomi as both leads require you to match 5 connected orbs with at least one being enhanced. is vastly superior due to consistency because requires 7 combos to reach maximum damage potential. I have an team and enjoy the playstyle, but feel constricted by the lack of consistency and low recovery. As such, I am very tempted to purchase as it will allow me to develop and learn a new team. So now the big question is what am I going to purchase? 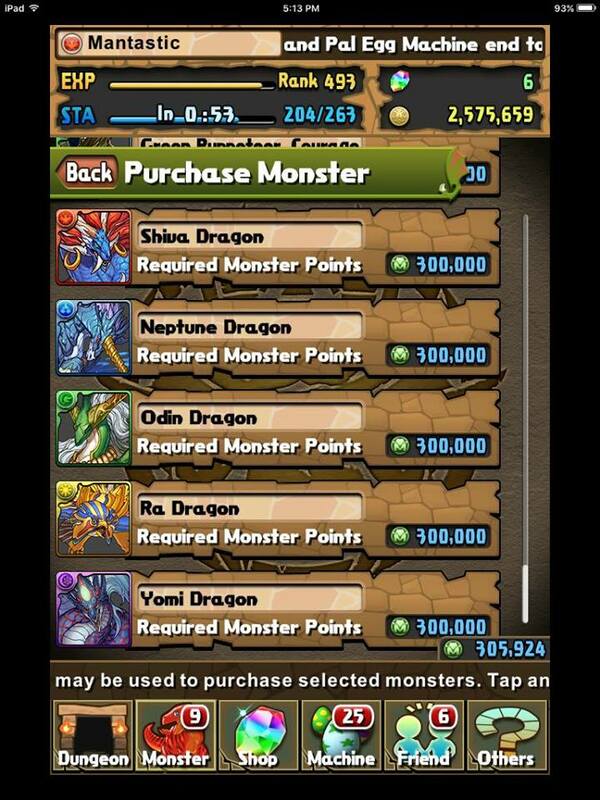 When deciding which MP Dragon to invest in, you should look at your potential sub pool. A leader, no matter how powerful, is going to falter without ideal subs. 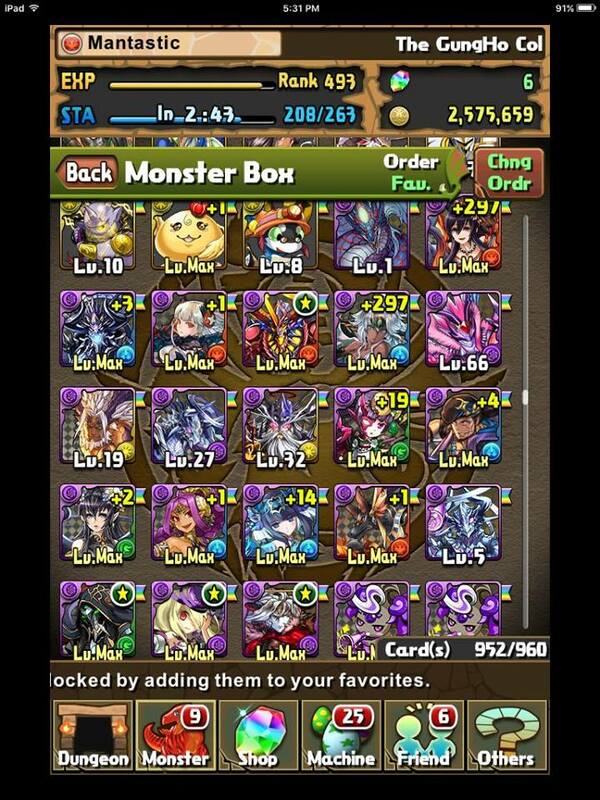 For myself, I already have a powerful rainbow leader in Awoken Sakuya along with 0 Dark Kalis . Therefore, if I were to buy , I would be missing all of the important subs with the exception of Awoken Isis along with not being able to branch out and experience different team playstyles. As such, I will purchase because I have a stronger sub pool along with wanting to experience a new type of team and gameplay. Okay, that gave me quite the adrenaline rush! My first MP dragon and I now have a new project to work on. It will mostly be trying to 297 everything I can and here are some tentative teams I may try to run. 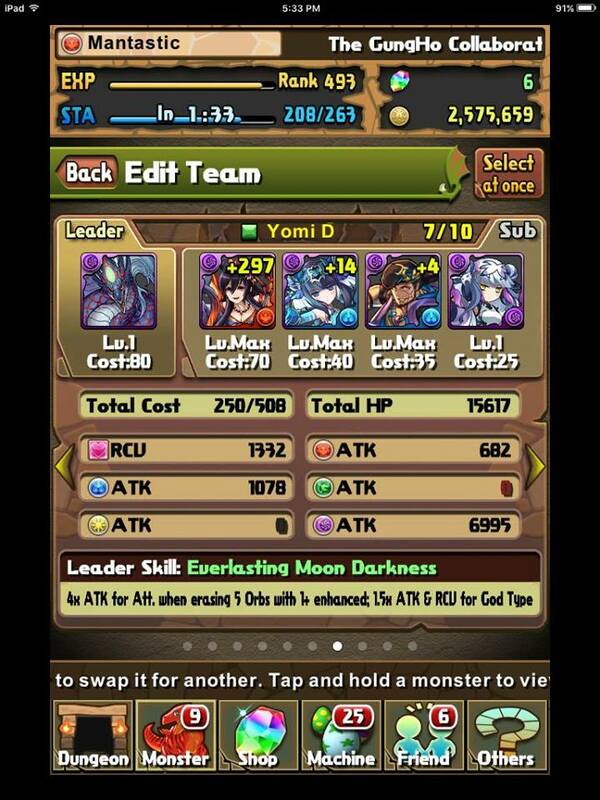 I am open to team building feedback as my experience here is more limited when deciding on ideal subs. 25 percent gravity may be useful? There were also a lot of shynpi sacrificed for the greater good…..but I’m so close now!!!! For people without the second YomiDra, Akechi/Haku/Okuni/Stratios seems to be the base Arena team and Akechi/Haku/Okuni/Pandora for non-Arena. You’ve got Haku, Okuni, and Pandora, so that’s a good start. 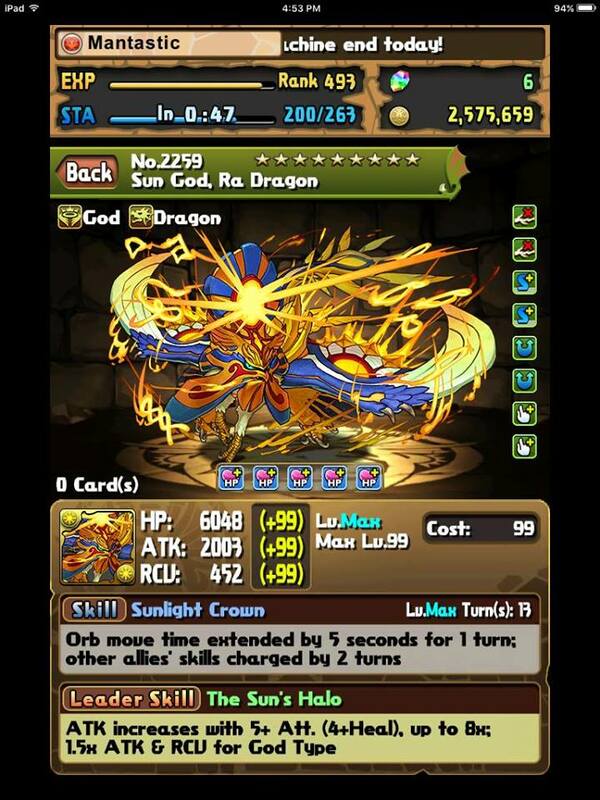 After that, Stratios can be used for Arena, and for non-Arena I guess you could use DMeta. Yeah that makes sense. Only large concern I may have with using Haku without any enhancing active is being left with a board that cannot be activated as no purple are enhanced. I am going to presume the frequent haste actives compensate for the lack of orb changers? I main Sakuya too and I don’t have any Kalis…. I’ll just sit over here, super jealous, and cuddle my Fat Chocobo. I’m saving my MP in hopes of a Valentine’s day r/l Kali. Wish we could trade GFE dupes in for specific gfes. Yeah it makes it quite challenging to use Sakuya in this day and age without a Kali. I rolled my first one near her release time a year ago? My 2nd one was only 1.5 months ago or so. But fear not, you can still clear lots of content without the Kali board, just need to be more careful. 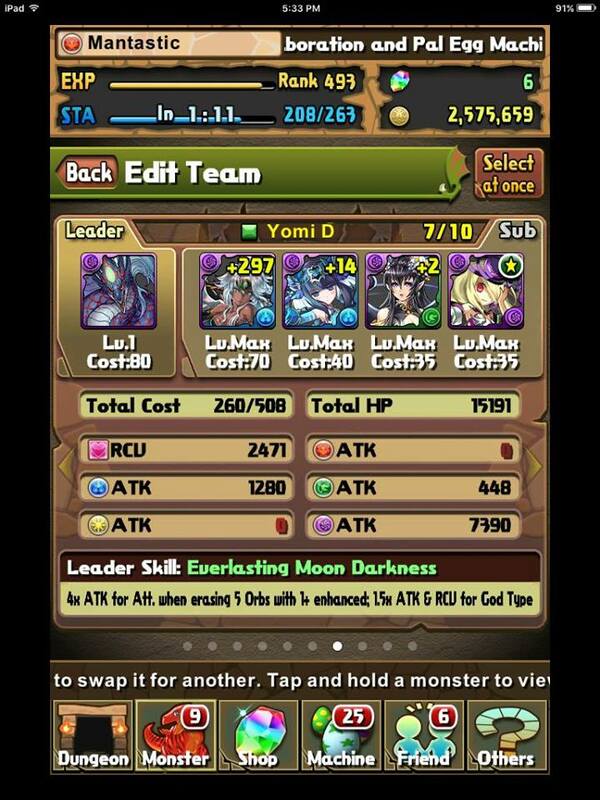 716 days of PAD, IAP 4x, only roll Kali GFs and still no Kali. ‘-_- gungtroll thanks for 9 Kurone.